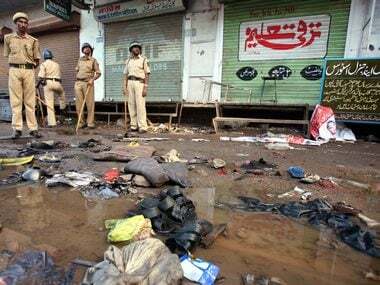 The Ministry of Home Affairs, on the recommendation of the Bombay High Court, announced the appointment of Judge VS Padalkar to preside over the special court that is conducting the trial in the 2008 Malegaon blast case, reports said. Judge SD Tekale, who was earlier presiding over the trial in the case since 2015, was transferred six months before his three-year-term was to end in July, The Hindu reported. 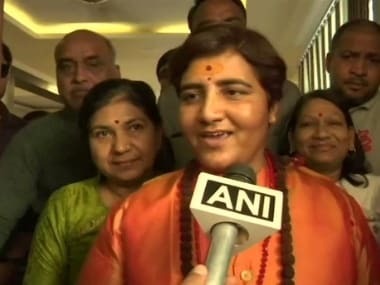 He had ruled in December 2017 that Sadhvi Pragya Singh Thakur and others accused in the case would continue to face trial under the Unlawful Activities (Prevention) Act. Officials at the National Investigation Agency (NIA) insisted that it was a routine transfer. "The Central government, on the recommendation of the Hon’ble Chief Justice, High Court of Bombay, hereby appoints Shri VS Padalkar, Judge, City Civil Court & Additional Sessions Judge, Mumbai, as the Judge to preside over the said Special Court," the notification passed on 18 April 18 reads. Padalkar is currently presiding over the 2003 custodial death case of Khwaja Yunus, a 27-year-old software engineer from Parbhani who is said to have disappeared a few days after being arrested for the 2002 Ghatkopar bomb blasts, according Mumbai Mirror. A CID inquiry ordered by the Bombay High Court had held 14 policemen responsible for his death, but the Maharashtra government sanctioned the prosecution of only four of them. Only a day after the ministry's notification, Padalkar set 21 May as the date for conducting the trial in the Khwaja Yunus case — which is already 15 years old — on a day-to-day basis, the report said. It adds that with the new assignment, it is not known whether Padalkar will continue hearing the Khwaja Yunus case. Two months before Tekale was transferred in February, he ruled that Sadhvi Pragya, Lieutenant-Colonel Prasad Shrikant Purohit, and six other accused in the Malegaon blast case, will face trial on stringent terror charges in the in the politically-sensitive case that had raised speculation of saffron militancy. In a chargesheet filed by NIA in 2016, the agency had given a clean chit to Thakur and recommended that all charges be dropped against her. Six people were killed and 101 injured when an improvised explosive device strapped to a motorcycle exploded in Malegaon, Maharashtra in 2008. The court dismissed NIA's contention that there was no evidence against Thakur, saying it was difficult to accept the claim given that her motorcycle was used in the blast. 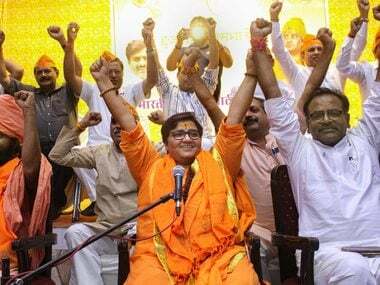 "There is evidence to suggest that the accused number one (Thakur) had knowledge about involvement of her motorcycle," the court said in its ruling on the nine-year-old case that had raised worries of Hindu militancy gaining a foothold as a reaction to Islamic extremism. 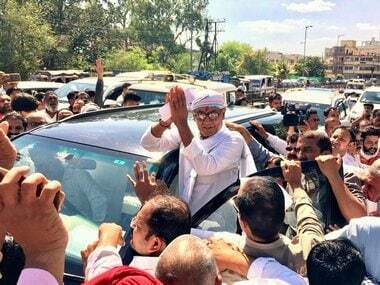 Thakur "had also expressed dissatisfaction about causing less casualties in the blast. Hence it is difficult to accept submissions on behalf of the NIA and the accused number one that she had no concern with the present crime," it said. The court however, dropped the Maharashtra Control of Organised Crime Act (MCOCA) charges against the accused, which is punishable by up to life in prison. Apart from Thakur and Purohit, the other accused who received partial relief in the case are Ramesh Upadhyay, Sameer Kulkarni, and Sudhakar Dwivedi. The court also discharged Pravin Takalki, Shyamlal Sahu and Shivnarayan Kalsangra from the blast case, whereas Rakesh Dhawde and Jagdish Mhatre will face trial only under the Arms Act. The court said the accused persons will face trial under sections 16 (committing a terror act) and 18 (criminal conspiracy) of the Unlawful Activities Prevention Act (UAPA), and sections 120(b) (punishment of criminal conspiracy), 302 (murder), 307 (attempt to murder) and 326 (intentionally causing harm to others) of the IPC.